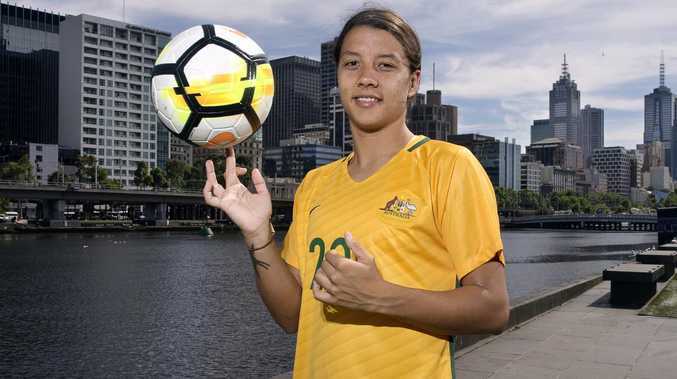 THE accolades continue to flow for Matildas sensation Sam Kerr, who has been awarded Professional Footballers Australia's top honour as women's footballer of the year. It's just another endorsement for the talent of one of Australia's best and follow an incredible 12 months on the pitch. The current Young Australian of the Year is in the US playing for Chicago so was unable to collect her third PFA Women's Footballer of the Year award, which also made her the first female to win it two years in a row. It sits alongside her consecutive Julie Dolan medals and 2017 AFC Women's Player of the Year award. "It's a massive privilege to win this award for a second year," Kerr told the PFA. "It's been a huge year for women's football and to have been able to contribute to that has been not only exciting but immensely rewarding. "Hopefully our success continues in the future as the women's game goes from strength to strength." Kerr will compete with the Matildas at the Tournament of Nations at the end of this month, the same tournament that kick-started an amazing run of wins for the Australian women's team. 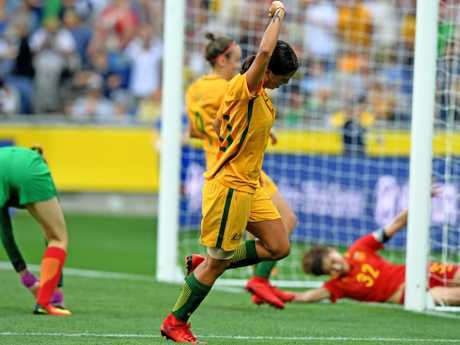 The Matildas striker finished with the golden boot award and put herself on the map as one of the world's top footballers. Also likely to feature in the side is PFA Young Women's Footballer of the Year winner Alex Chidiac, who claimed the award for a second time. 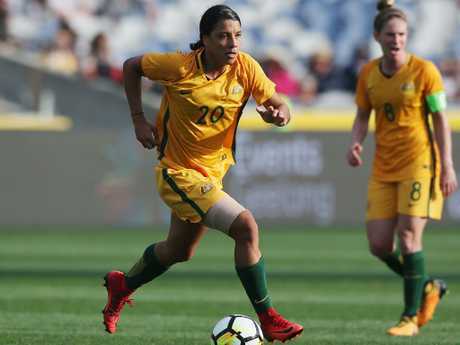 The Adelaide United midfielder made two appearances for Australia at the 2017 Algarve Cup and scored her first international goal in a friendly against Thailand February this year. "Winning Young Footballer of the Year for the second time is truly an honour," Chidiac told PFA. "To be voted by my teammates and opponents is very special. "It's been a very memorable last 12 months for me and I hope to keep learning, progressing and developing as a player at an exciting time for women's football." Other winners on the night were Aaron Mooy as Men's Footballer of the Year and Daniel Arzani as PFA Harry Kewell Medallist. Former Socceroo Paul Okon was crowned Alex Tobin OAM Medallist.